In honor of Breast Cancer Awareness month, Norwex is Cleaning for a Cause! Norwex has a huge goal of raising $40,000 to support organizations that are fighting breast cancer. We all know or love someone whose life was impacted by this disease, and now is our time to support them. 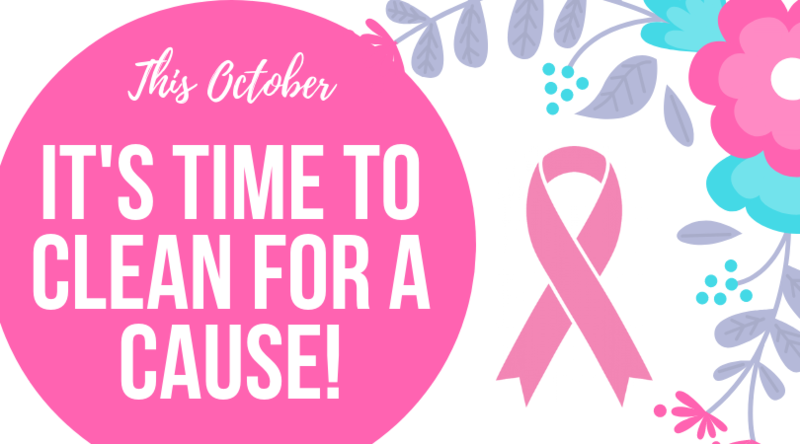 A portion of all the proceeds from Norwex’s October specials will be donated to organizations that are fighting breast cancer. And for every qualifying party this month, Norwex will donate $1! Now $1 may not seem like a lot, but with all of the Norwex consultants across the nation, we can hit this $40,000 goal! Consultants who sell $1500 in products will receive 10 fall catalogs, an EnviroCloth, a Toddler Bib and Cloth, and a Limited-Edition Optic Scarf. Consultants who sell $2000 in products and get 1 recruit will also earn an additional 10 catalogs along with a Kids Towel. Consultants who sell $3000 in products and get 1 recruit will also receive an additional 10 catalogs, the Bathroom Scrub Mitt, and a Mighty Mesh Pot Scrubber. Consultants who sell $5000 in products and get 1 recruit will also receive a Kitchen Cloth and Kitchen Towel. This month you get the opportunity to both earn free products and help others. Remember that every time you host a party or sell our specials this month, you will be helping someone fighting this awful disease! Use Cleaning for a Cause as motivation to spread the Norwex message! Have you been considering becoming a Norwex Consultant? Contact me today to get started on your Norwex journey!